Balcony Seaside Si Racha Hotel & Serviced Apartments has been selected from www.chillpainai.com to be one of the top ten of the most recommended new hotels of the year. 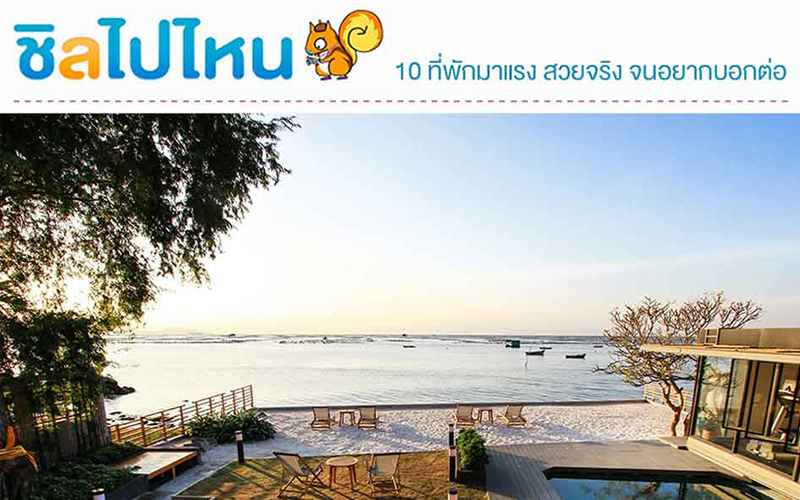 Because of our outstanding decoration, relax atmosphere by the sea and the most beautiful sunset view point of Si Racha make Balcony Seaside become one of the top ten chart of Chillpainai. 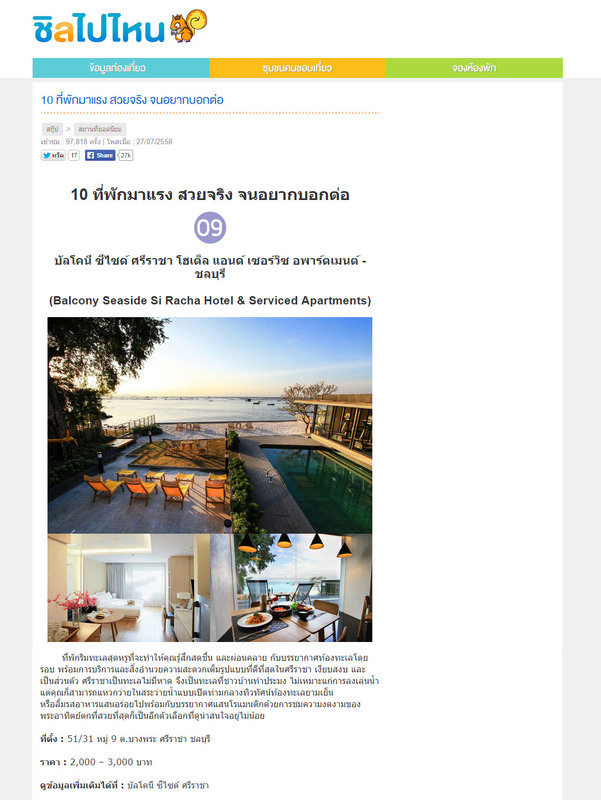 If you are searching for the new private hotel near Bangkok, Balcony Seaside Si Racha Hotel & Serviced Apartments is an interesting choice.